It’s hard not to have sympathy for the engineers in charge of designing a new Volkswagen GTI. Tasked with improving on what is essentially compact car perfection, every few years they have to make the best car in the segment slightly better. No pressure or anything. Yet every time they seem to execute the new car flawlessly, improving what few minor imperfections road testers manage to wring out of Volkswagen’s perennial hot hatch. 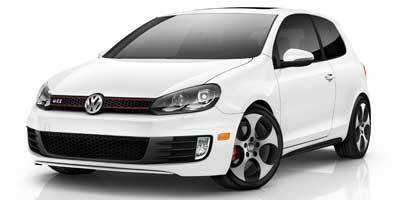 As such, the GTI won’t be changing drastically for 2010. The same torquey 200 horsepower 2.0-liter turbocharged engine will continue to motivate the GTI, and you still have your choice of either a six-speed manual or dual-clutch automatic transmission. The trapezoidal grille has been ditched in favor of a front-end horizontal emphasis that makes the car look lower and wider – even though it really isn’t – but the overall shape of the GTI remains largely unchanged. Inside, a touchscreen interface for the audio system now comes standard and quality has risen drastically, making the GTI feel more like a low-end Audi than a high-end VW, and we mean that in the best way possible. It's even a few pounds lighter than the last one, a trend we would like to see more often in an industry filled with increasing waistlines. 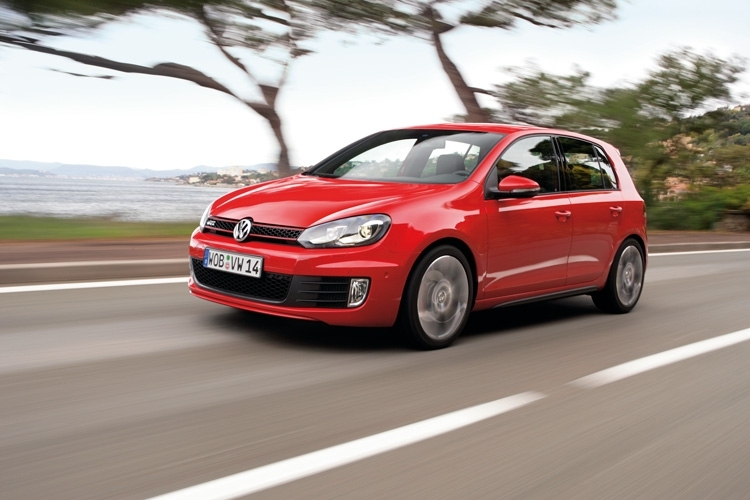 Oh, and it’s based on the 2010 Golf, which handily enough was recently voted World Car of the Year. Convinced yet? While the $1,100 charge for the DSG dual-clutch transmission doesn't seem as steep here as it does in the less pricey Golf, $1,750 for navigation still won't sit well with many consumers, especially considering the screen is already there in the dash to begin with. The XDS electronic differential works well, but a mechanical limited-slip would be preferred, even if it does weigh and cost more. Hooked up but not crashy over bumps – it's how we want our hot hatches to feel and that's exactly how the GTI rides, controlled and taut but never overly sprung. Power delivery is fantastically linear and the engine has none of the on/off effect you get in more powerful turbocharged cars. Go for full throttle and you'll be greeted with a wonderful four-cylinder induction note that possesses none of the blender-like sounds of some other turbo engines in the segment. 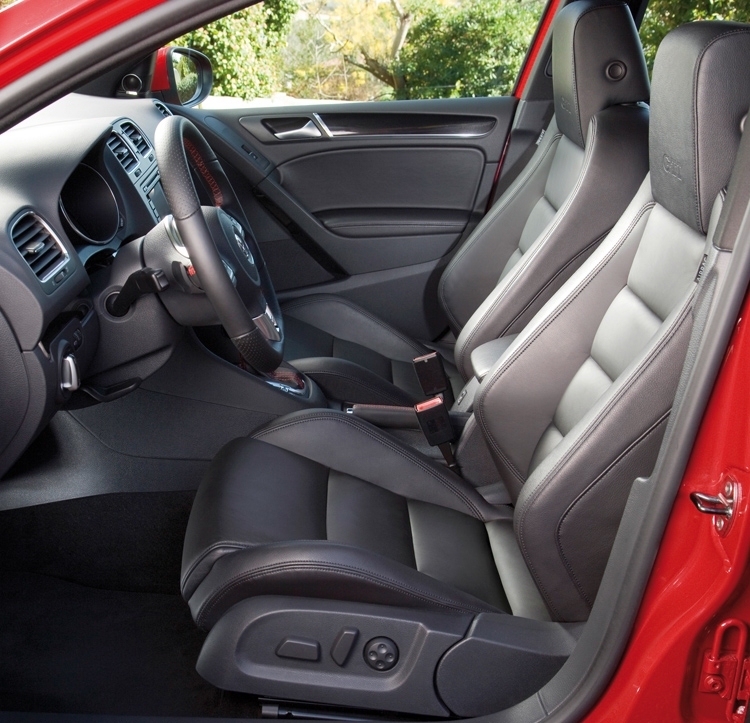 Since the GTI isn't overpowered, you can concentrate on stringing corners together without fighting the steering wheel for control of the front end. Turn in, deploy the power early, stay on the throttle, get some shifts in, enter the next corner light on the brakes. It's easy yet exhilarating all at once, and if you have a DSG you can even do all without removing your hands from the wheel thanks to the paddle shifters. The outgoing Mark V GTI had such a fantastic powerplant, Volkswagen didn't change it for 2010. Some might call that lack of progress, but we think it was a fantastic move. The 2.0-liter direct injected and turbocharged four-cylinder engine makes 200 horsepower and 207 lb-ft of torque, keeping it within the front-drive realm of reason. A six-speed manual transmission comes standard while a dual-clutch six-speed DSG automatic is optional. Aside from larger wheels and a few other miscellaneous gubbins, the GTI basically only has one package. The $2,795 Autobahn package adds partial leather seats all around, a power sunroof and sport front seats with lumbar support. If you just want the sunroof, it can be ordered à la carte. We would also recommend springing for bi-xenon headlamps. The GTI feels plenty up to date with a touchscreen stereo, Sirius satellite radio, a multi-function steering wheel and accompanying multi-function display between the gauges. Options include a navigation system and 300-watt Dynaudio sound system. Despite its reasonable price, you don't have to spring for premium audio if it is iPod compatability you seek – that comes standard. Amazingly enough, despite its performance credentials the GTI manages to return better fuel economy than Golf’s standard 2.5-liter I-5. When equipped with a manual transmission the GTI returns 21 mpg city, 31 highway, and with the DSG dual clutch those figures are bumped to 24 city, 32 highway. 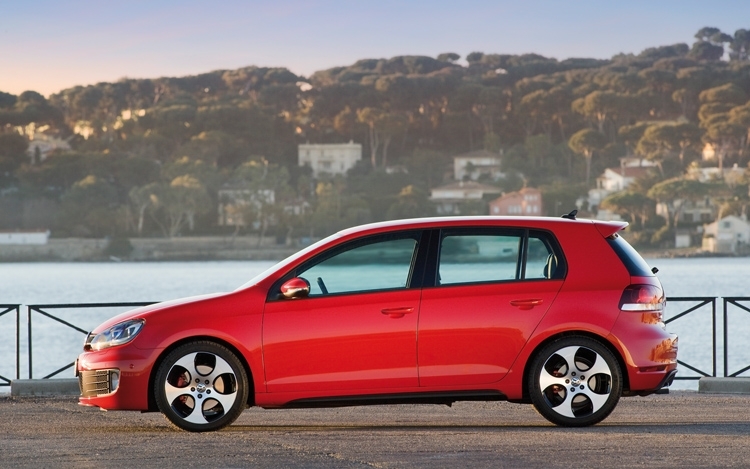 The overall level of quality has taken a noticeable stride forward in the new GTI. The most obvious new feature is the attractive and easy-to-use touchscreen for the audio system, but the new climate system controls below it feel just as special. The new gauges and MFD display feel more Audi than Volkswagen. Even though the dimensions of the GTI haven't changed drastically in any direction, the new horizontal emphasis to the front-end gives it a wider, more substantial look. Red lines above and below the new honeycomb grille harken back to the original GTI, while optional bi-xenon headlamps add a properly modern touch after dusk. In Europe, where hot hatches are as common as skinny jeans at a Jonas Brothers concert, the GTI has a lot of obvious competitors. Here in North America, however, there are only a handful, none of which represent a true toe-to-toe rival. The $23,489 GTI competes with the likes of the MazdaSpeed3 ($23,945), Honda Civic Si ($22,055), Subaru Impreza WRX ($25,495) and Volvo C30 T5 ($24,100). It's hard not to admire Volkswagen's decision to stick to its guns with the GTI. The temptation to cram ever more power into a front-drive chassis is about as difficult to resist as free beer in college, but doing so has kept the GTI the civilized tourer that so many have fallen in love with over the years. Of course, that doesn't mean it's not fun to take by the scruff and push hard every now and then. It's quite good at that, too.